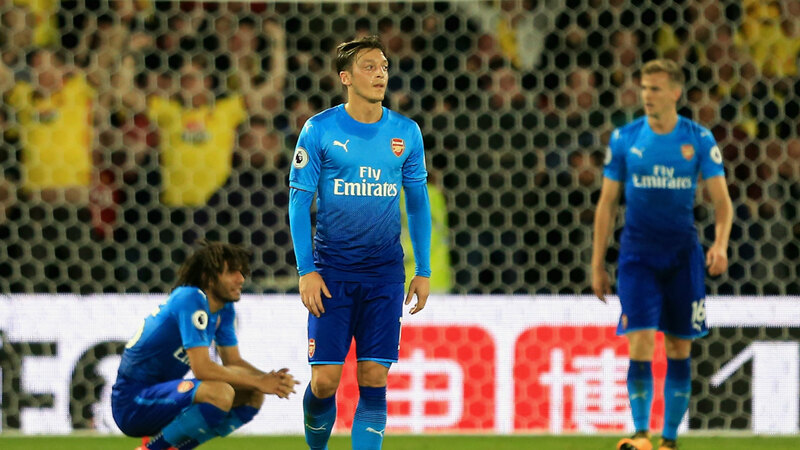 Former Arsenal star Robert Pires believes that Mesut Ozil is frustrated with the club’s lack of signings, as rumours persist over his future. The Germany international, who has been at the club since 2013 and has won the FA Cup three times, has been heavily linked with a potential move to Manchester United, with his contract set to expire at the end of the season. Arsenal signed just two players in the summer, defender Sead Kolasinac on a free transfer, and striker Alexandre Lacazette from Lyon for a club-record fee of £46.5 million. However, the Gunners have endured a difficult start to the season and sit sixth in the Premier League table following a late 2-1 defeat to Watford at the weekend. Pires believes that Ozil is desperate for silverware, and fears that Arsenal have not strengthened sufficiently to meet his needs. "Ozil is a warrior who wants to win something, and currently he makes the impression that he's annoyed Arsenal have not assembled a squad which can win something," he told Sport Bild. Despite protests against his management, Arsene Wenger signed a new contract in the summer to extend his stay at the club by another two years, and Pires remains a believer in the Frenchman’s abilities. "It's incredibly difficult to consistently remain at the top in England," he added.